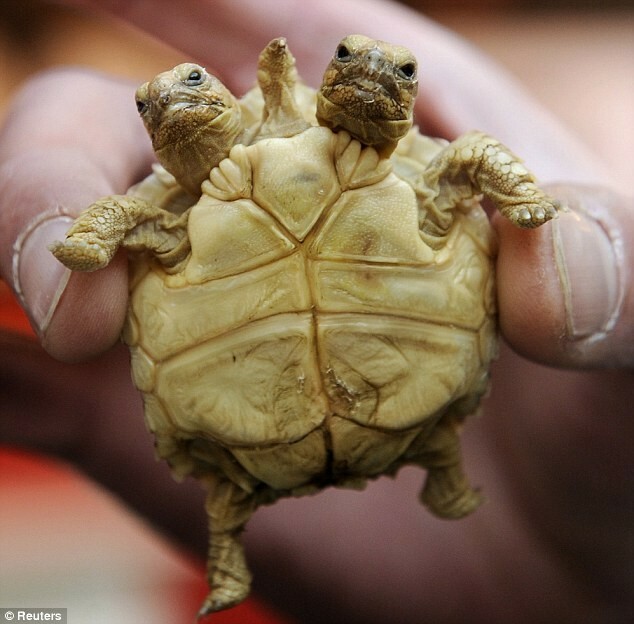 This amazing two-headed African Spurred Tortoise is just seven weeks old. Born in Slovakia its heads have been named Madga (left head) and Lenka. The duo also have five legs (one more than normal) and were displayed in Zilina today. Although the tortoise looks small now, it should grow much, much bigger. In fact, the species are the third largest in the world, after the Galapagos Tortoise, and the Aldabra Giant Turtle. Many animals have been born with two heads and survive.